"Where y'all been so long? Why run off so fast? 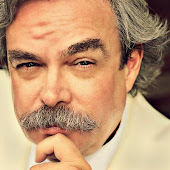 Stephen Hollen is an award winning storyteller, humorist and Mark Twain Impersonator living in Beavercreek, Ohio. He performs and tells stories in Ohio, Kentucky, Indiana, Tennessee, West Virginia, Michigan and throughout the USA. Lovely. One of the most difficult things to do is to make a "drive through" visit to the hills. But then, I can hear the Sirens' song 'way up here across the creek.